CIVIL WAR ERA U. S. NAVY ROPE KNIFE with antler slab handles. 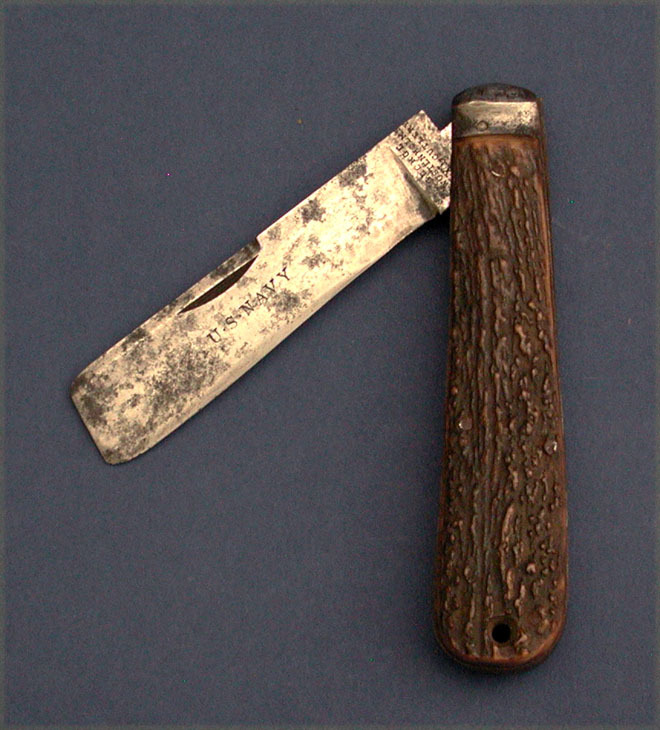 Square tipped, 4" long, blade stamped "U. S. NAVY" as well as with the maker's mark "George Wostenholm/IXL Cutlery". Overall length when open 8 1/2". Bored lanyard hole. Condition excellent having a nice full blade. These Civil War era examples quite scarce.